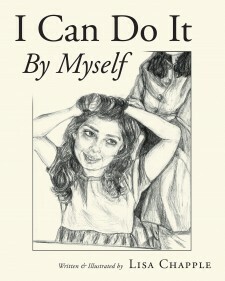 Lisa Chapple's New Book "I Can Do It by Myself" is a Wonderful Children's Book That Explores the Delight a Child Experiences When Learning Self Reliance. Edgewater, NJ, February 13, 2018	(Newswire.com) - Lisa Chapple, a New Yorker with enough love of the Arts to fill the Big Apple, has completed her most recent book “I Can Do It By Myself”: a charming and vivid book for children that enchants by showcasing the enormous milestone of learning self reliance. Published by Fulton Books, Lisa Chapple’s book is a beautifully rendered children's book that tells a story true to every child's life. Through a warm hearted and witty message, children can learn how to cope with growing up. Follow a young girl who always seeks her mom's help as she goes through some of her everyday routines. While the mother teaches a valuable lesson to her daughter, she learns one as well. Both of them struggle through the journey, but with love and trust perhaps they can find a way. This is a loving and poetic story that shares one of the biggest moments we all go through in life. Readers who wish to experience this enlightening children’s work can purchase “I Can Do It By Myself” at bookstores everywhere, or online at the Apple iTunes store, Amazon, Google Play or Barnes and Noble.